Now the time is right to invest in Uzbekistan, because the business climate is changing, the economy is gaining momentum, which makes doing business easier, the chairman of the Uzbek Committee for Investments Azim Ahmedkhadjayev said at a meeting with South Korean business executives in Tashkent on Monday, gazeta.uz said. 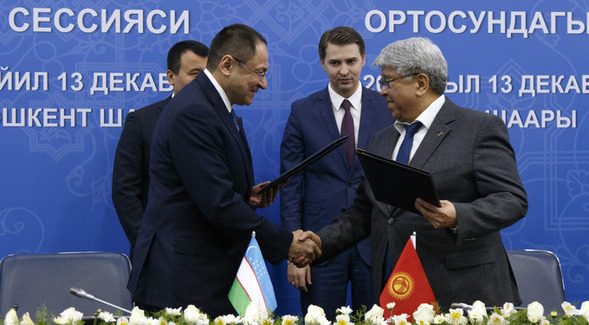 The Committee for Investments, Tashkent City Administration and South Korean POSCO Daewoo signed amendment cooperation agreement for joint implementation of the High Tech City Project, the committee said in a statement. KFC, an international chain of catering restaurants specializing in chicken dishes, enters the Uzbek market. Yum! Brands, an American fast food company, which operates the brands KFC, Taco Bell and Pizza Hut worldwide, is hiring employees in Tashkent, as several Uzbekistan job search sites posted vacancies as of January 25. JV Jizzakh Petroleum will launch filling stations network, which will sell imported gasoline, Uzbekneftegaz, the major shareholder, said. Uzbekistan is among 40 countries where sweet cherry is grown. According to the data of FAOSTAT, Uzbekistan is in top 10 of largest sweet cherry producers in the world and out of 100 thousand tons of cherries produced in Uzbekistan 30% is exported to CIS and other foreign countries per year. Uzbekistan-Kyrgyzstan business forum and a matchmaking session were held in Tashkent yesterday on the day of the arrival of the President of Kyrgyzstan, Sooronbai Jeenbekov, which was attended by over 100 Kyrgyz engineering, construction, food, packaging, light industry and IT companies. President Shavkat Mirziyoyev launched the initiative to develop business aviation in Uzbekistan. Business aviation is an air transport option tailored to the specific needs of company, UzA reported. UzTrade inaugurated its showroom in Mazar-i-Sharif (Afghanistan) Thursday, which features a wide range of goods of Uzbekistan’s manufacturers. The National research and production company FONON and South Korean Hwachon Plant-Gemco signed an agreement on setting up of a joint venture manufacturing jewelry in Tashkent. Hyundai Motor Co. said Monday it has signed a US$14 million deal to supply 182 trucks to the Uzbek ministry for environmental protection.